The guys at Nock Co. have certainly had their work cut out fulfilling the orders of over 2000 backers since the Kickstarter funding goal was reached at the end of October last year. As a backer of the “All the Cases” level (one of each case manufactured), my order was shipped towards the end of the process, however was well worth the wait. Brad has teamed up with Jeffrey Bruckwicki of Old Fourth Tailoring to design and manufacture pen cases (all hand-made in the USA), and in a nice touch, we see notebook case integration into some of the designs as well. The two appear to be a great fit (pardon the tailoring pun), and have created some fantastic designs which you really should check out for yourself, as any attempt at describing the products to you in words will not do the cases justice. After posting one final update in late October on the progress of the Kickstarter funding drive, it was a case of waiting patiently for the goods to arrive. 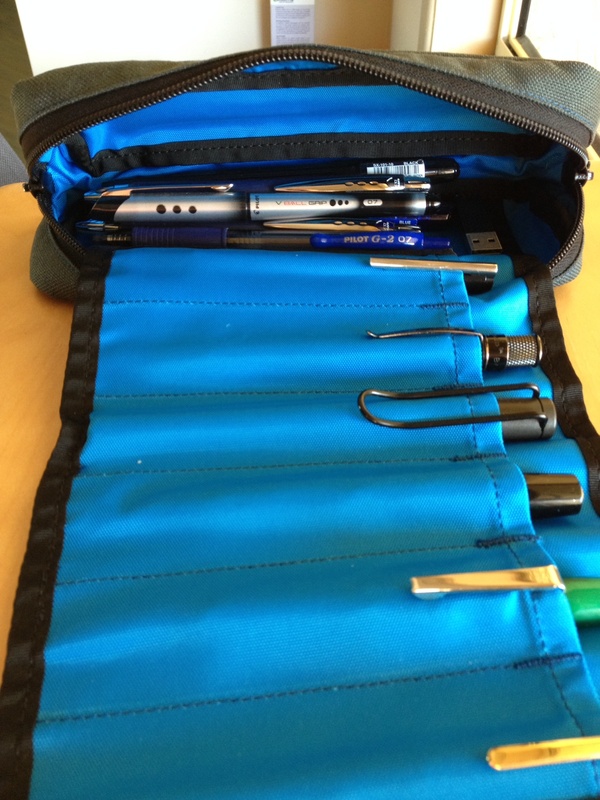 Upon receiving the cases (seven in total) last week, I immediately filled The Brasstown, a zippered case with a six pen internal “tongue” rollout which emerges from the centre of the case; The Maryapple, a bifold notebook case, and both Chimneytop cases (more of a traditional type pen/pencil case shape). 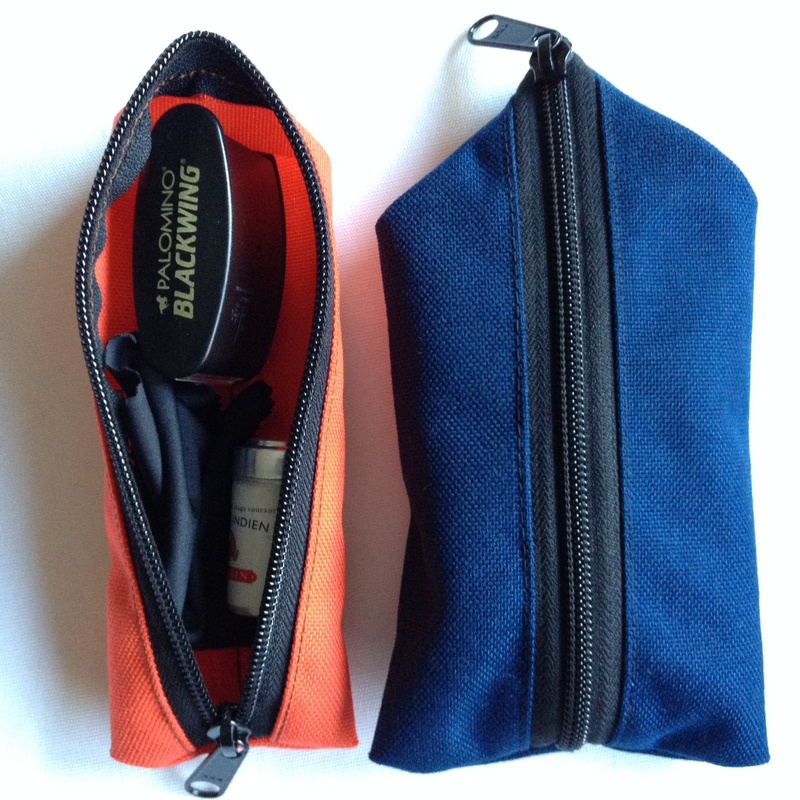 As far as the construction and materials are concerned, these are high quality cases, made with 1000D nylon, lined with pack cloth (unless otherwise stated) to provide a nice protective housing for those precious pens, the closures finished with YKK zippers. The design of the cases and materials used ensure each keep their shape, yet are pliable enough to be tucked into the corner of a bag or backpack with no problems. There is no question they are built to last and to be used – not sit on a shelf or in a drawer. These are your favourite denim jeans, not a tuxedo to be kept for special occasions. This is freedom for the pens you might otherwise have to leave at home – get out and use them. How have the cases themselves performed? Pretty well so far. Probably my favourite case of the lot. 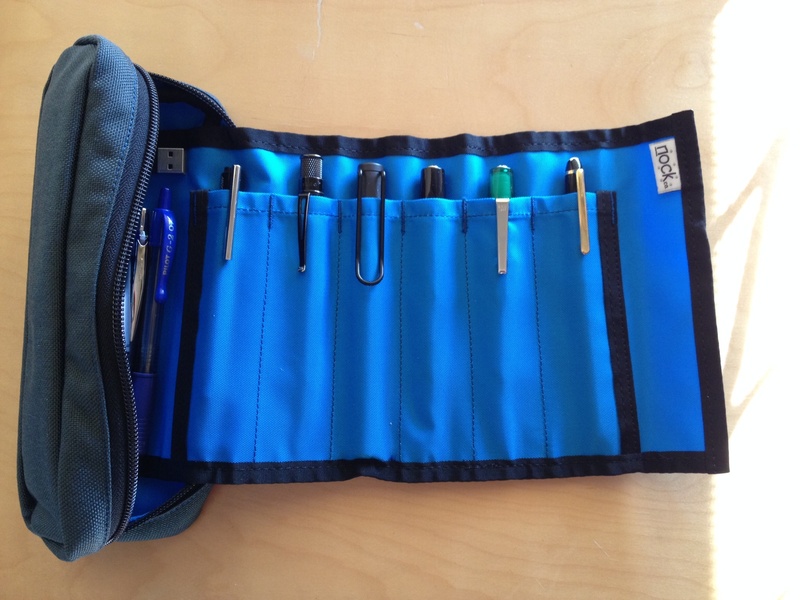 Design genius, catering for up to six pens, each within their own pocket, in an internal pen roll. There is also room for pens, pencils, spare inks, erasers etc in “general population” within the main barrel of the case. It is nice and compact when closed, however unfurls to provide a nice open display of the six pens in the rollout section. For me? This case provides both protection for any pens I would prefer not to have banging around together, however is equally useful to house whichever pens are in high rotation at the time, providing easy organisation and convenient access, ensuring I never have to dig around looking for a specific pen. The centre roll accommodates all pen sizes, with the shorter and clipless Kaweco Sport disappearing down inside its pocket, however is easily extracted by simply sliding my thumb up the front material of the pocket and popping it out the top. All other clipped pens will simply sit securely in the pockets suspended by their clips in the usual manner. I can see this being my most used case, as it is the simplest way to carry my pens to and from work, knowing I have the six in the roll, along with any others (currently a further six disposable gel ink/rollerballs and a USB stick) in the main barrel of the case. As you can see from the image, my colour of choice was the Steel Exterior/Blue Jay interior combination. The bifold notebook case that is the Maryapple was also put to immediate use, given my usual practice of carrying two Field Notes notebooks along with the pens in my messenger style bag to and from the office. 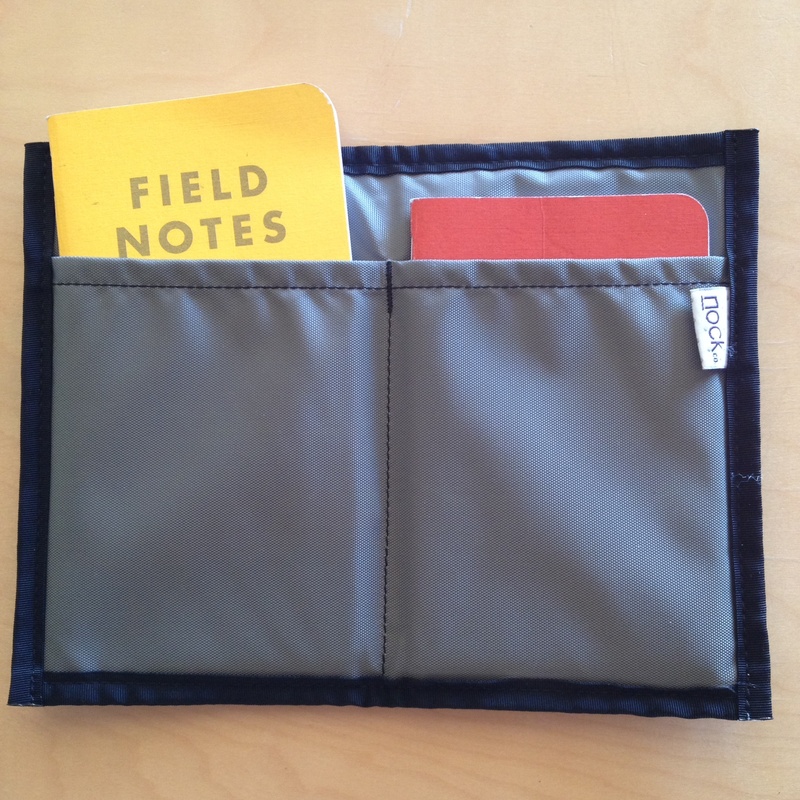 Why protect a Field Notes notebook? Are they not meant to be bruised and battered, showing the scars of heavy use, and then retired once full? Absolutely, and for myself, this will continue to be the case when carrying one in my pocket, however more often than not they are in my bag whilst commuting, and this is a great way of keeping them together. Why two? One is used as a general catch-all for notes, ideas and numbers etc. The other is my coffee notebook, containing my roasting and tasting notes, along with any other coffee related information (blog post ideas, beans to try etc). Although my roasting is obviously all done at home, a good deal of tasting is done when out and about, or through my Aeropress brewing which occurs at the office. 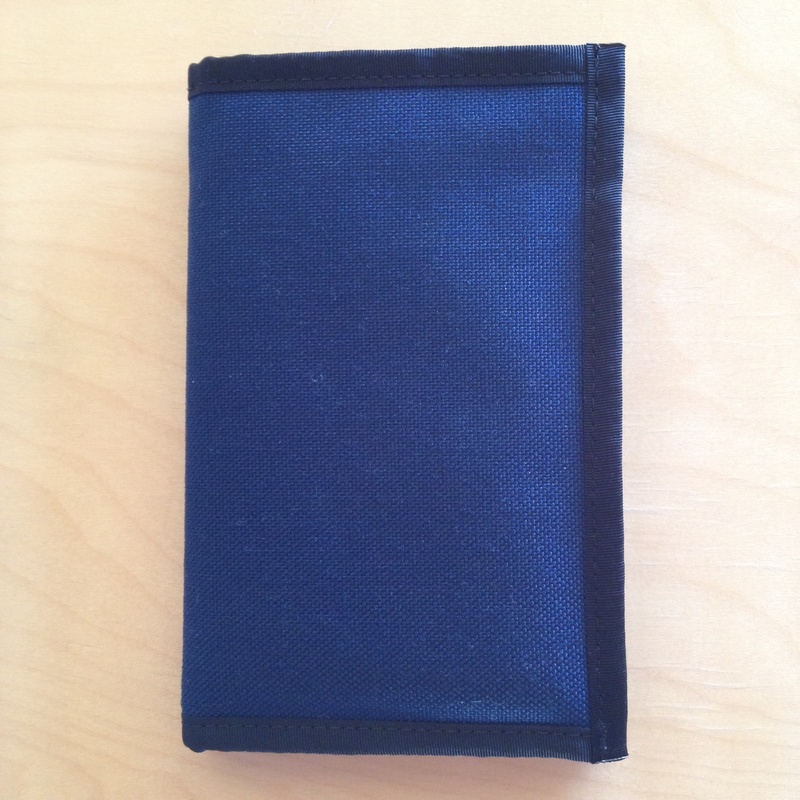 Although two notebooks is generally my limit, this case would comfortably hold four Field Notes sized (approximately 9x13cm) books (two each side), or a couple of notebooks on one side, and a few pens in the other. I made a similarly conservative colour choice here, going with the Midnight Exterior/Foliage Interior. These pop-up cases are my everything else cases, with the orange mini containing my Palomino pencil sharpener, a J. Herbin ink cartridge tin containing a selection of cartridges, and a screen cleaning cloth should my phone or iPad mini require it. I love the size of the mini, as it sits in my bag taking up essentially no room, however I can be sure of where those bits and pieces are should they be required. The standard size Chimneytop currently houses my master store of ink cartridges, which, although sitting in my desk drawer, is a nice way of keeping them together. Both Chimneytop cases are unlined, which to me is not a problem, for if they were to be used for pens, they would be those pens you would be happy to have all in together, and if this were acceptable, I don’t believe the lack of lining would be a concern. 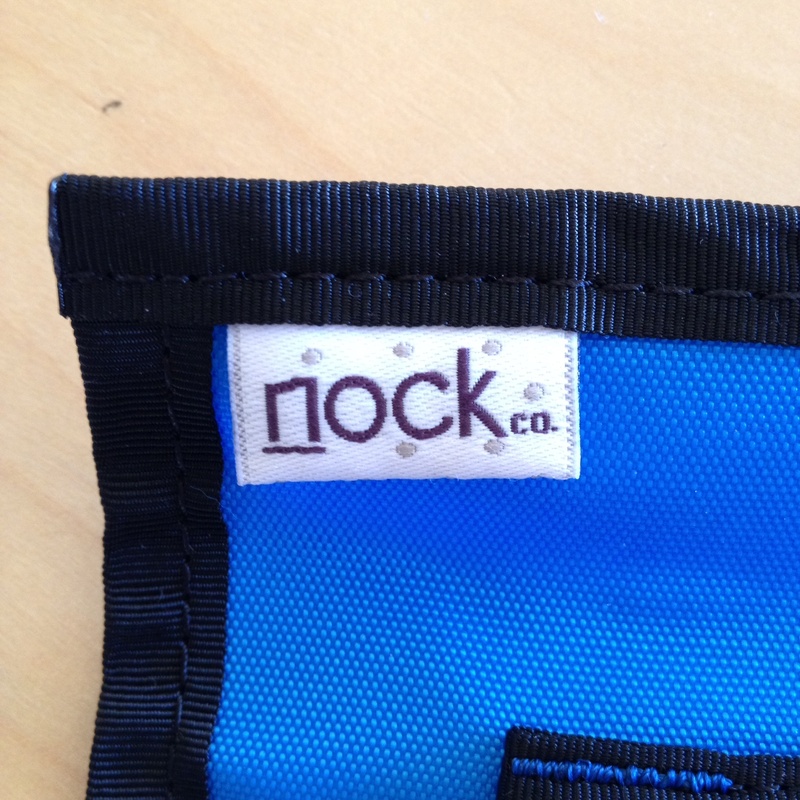 Whichever way you look at them, Nock Co. cases are high quality, highly functional products that fit a specific niche in the market perfectly. I have often looked at other pen cases, however never really found anything to suit. More rigid leather pen holders seemed a little over the top, whereas the Nock Co. products provide a level of protection and functionality that I believe are unsurpassed, and they look pretty good too (though I acknowledge opinion on the aesthetics of such products is a highly subjective matter). I am certainly spoiled for choice, having received one of each case manufactured, and believe me, they will all be put to good use. The remaining cases? Most likely to be filled as my pen collection grows, and of course backing the All Cases level was simply an investment in the future scale of both my pens and their cases – very wise! I’d highly recommend considering these cases if you or your pen collection desire (or need) them. With the Nock Co. online store yet to open (sign up to be notified when that occurs here), there will be a short wait, however as I can attest – it will be worth it, and your pens will thank you. They look awesome! Thanks for the review! I plan to buy a few when they are ready to sell them to the public! Thanks! They really are great products and thankfully should be available online soon. Hope you enjoy them too once you get your hands on some!